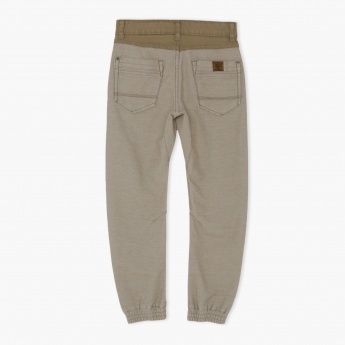 Make a charming addition to your boy's wardrobe with this pair of jog pants. It comes in a lovely pale earthy shade that exudes dapper style. The contrast detailing further elevates its appeal. 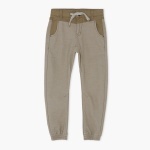 It comes with drawstring and elasticised waist with ankle cuffs for proper fit.